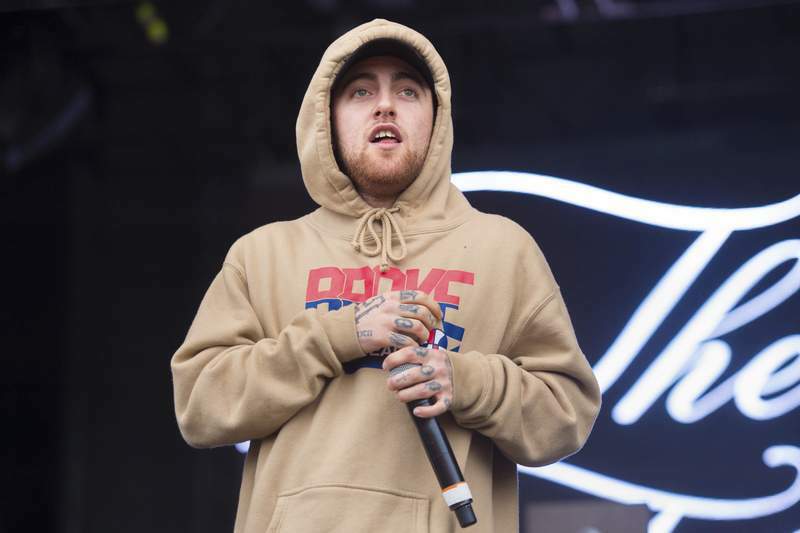 A coroner has ruled rapper Mac Miller's death an accidental overdose due to a combination of drugs and alcohol. A Los Angeles County coroner's report released Monday named the 26-year-old Miller's cause of death as “mixed toxicity,” saying cocaine, alcohol and the powerful opioid fentanyl were found in his system. Paramedics found Miller unresponsive in his Los Angeles home on Sept. 7 and declared him dead soon after. His music, which often examined his depression and drug use, won him fans among some of the biggest names in hip-hop. The Pittsburgh native was in a two-year relationship with Ariana Grande that ended earlier this year. Grande released a song over the weekend referencing Miller among other exes, including former fiance and “Saturday Night Live” star Pete Davidson. “Thank U, Next” references Pete and Malcolm, which is the real first name of Miller. She says she wishes she could thank Malcolm and calls him an angel. Cuban-American singer Camila Cabello was the big winner at the MTV EMAs gala in Spain on Sunday, while Janet Jackson used her acceptance speech for a life-time achievement award to take a stand for women's rights. Jackson was honored with the Global Icon Award for her four-decade, 11-album career. The 52-year-old said her award came with a responsibility. 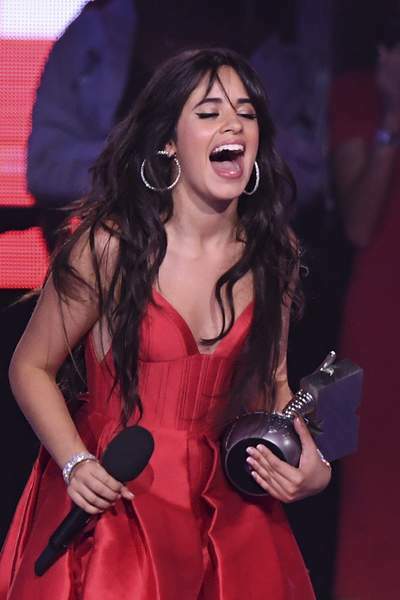 Cabello beat out Ariana Grande, Drake, Dua Lipa and Post Malone for best artist, while her hit “Havana” took best song and best video. She also topped the category for best act. The Spice Girls are coming back for a British stadium tour next summer. The band plans to take the stage without fashion designer Victoria Beckham, who performed as “Posh Spice” during the group's heyday. The band said Monday that Beckham would not take part because of business commitments. The tour will mark the first time the group has performed together since the 2012 Olympics. Among today's celebrity birthdays: Country singer Stonewall Jackson is 86. 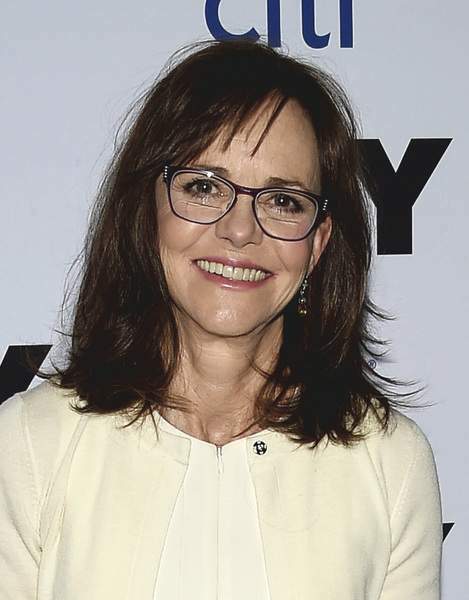 Actress Sally Field is 72. Jazz trumpeter Arturo Sandoval is 69. Actress Lori Singer is 61. Singer Corey Glover is 54. Actor Peter DeLuise is 52. Actress Kelly Rutherford is 50. Actor Ethan Hawke is 48. Celebrity chef Marcus Samuelsson is 48. Actress Thandie Newton is 46. Model Rebecca Romijn is 46. Actress Zoe McLellan is 44. Actress Nicole Dubuc is 40. Actress Taryn Manning is 40. Actress Patina Miller is 34. Actress Emma Stone is 30.